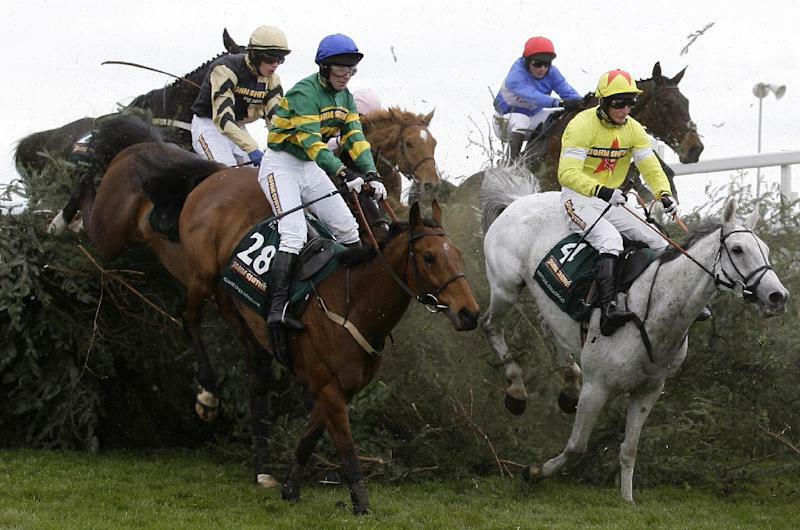 LONDON (AP) — The head of British horse racing insists the Grand National can never be risk-free and warned against any knee-jerk reaction in the wake of two horses dying for the second straight year in the world's most grueling jumps race. Animal welfare groups have renewed calls for drastic change to be made to the format of the event following pre-race favorite Synchronised and According to Pete being put down after sustaining injuries in an incident-packed 2012 edition. 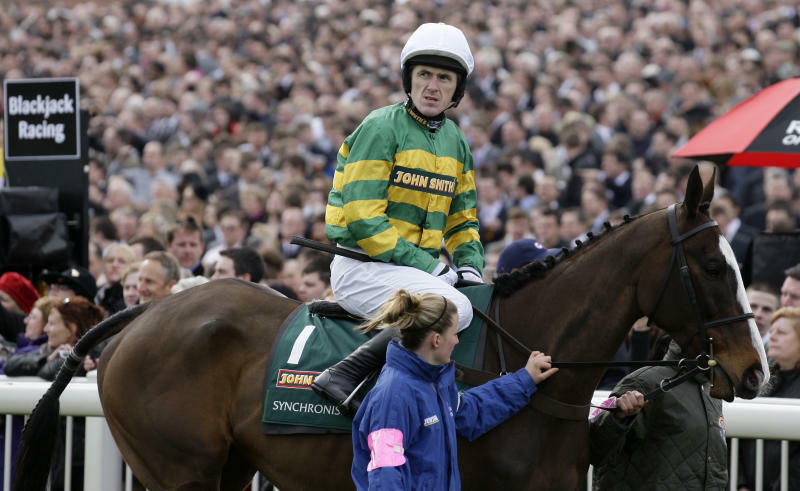 It took the number of horses to have died in the National in the past 12 years to 10, with 20 having died in races over the Grand National fences since 2001. A reduction in the size of the field or withdrawing some of the more dangerous fences — including the much-feared Becher's Brook — are some of the suggestions made by critics, with others saying the race should be banned entirely. This year's National was the first to be run since an extensive safety review in 2011, leading to a number of changes to fences and race conditions, and organizers are collating information from the race ahead of another investigation. However, Paul Bittar, chief executive of the British Horseracing Authority, said the race has actually become safer. "The decade since 2000 was the safest on record for the Grand National with a fatality rate of 1.5 percent compared to 3.3 percent at the start of the 1990s," Bittar said Sunday. "Sadly there have been two fatalities in each of the last two runnings of the race. "Naturally our objective is for there to be no fatalities, but we also recognize that we cannot remove risk altogether from such a competitive activity." 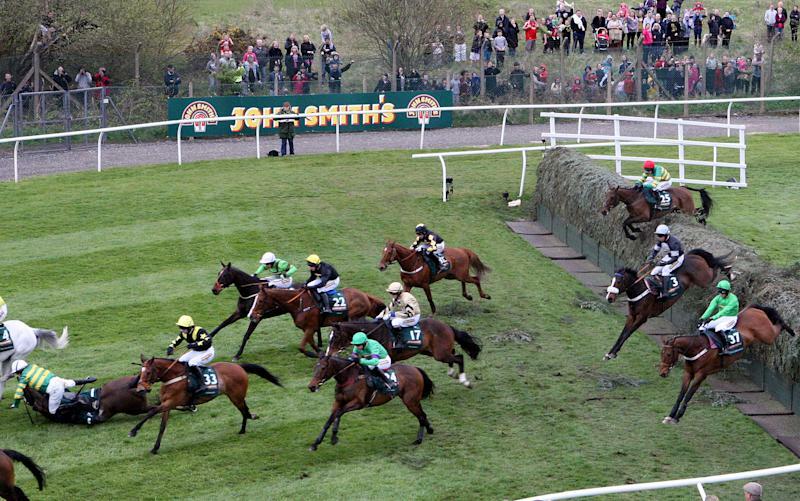 Forty horses compete in the National, which is run over 4½ miles, but only 15 made it to the finish. Many, including According to Pete, tumbled after colliding with horses that fell. Both Synchronised and According to Pete went down at Becher's Brook, a fence that is jumped twice and has a drop of between 5 feet, 2 inches and 5 feet, 8 inches after modifications in 2011. "Forty horses is a heck of a lot," said Gavin Grant, chief executive of the Royal Society for the Prevention of Cruelty to Animals. "Secondly, there are unique jumps there that horses aren't experienced in going over and I think we need to look at those jumps again. "Becher's Brook has claimed another casualty and perhaps it's time for that to go. We need to look at the landing areas. Some improvements have been made there, but when you've got a drop on the other side of the fence a horse isn't expecting that." Paul Nicholls, trainer of winning horse Neptune Collonges, said not much more can be done to protect the horses. "They probably have better health care than we have," said Nicholls, whose horse Ornais was one of the two fatalities from the 2011 race. "If people are going to continue to participate in sport, there is going to be both a human and animal risk. "The worst thing you can do is to go too far. You make the fences smaller, they go faster and you get more fallers." There have been no serious incidents in the four races at the course since changes were made to it last year. "At this stage, we believe it would be premature to suggest that modifications to the course and other changes have not been effective or will not yet prove to be effective," Bittar said.